Style Wire: You were both voted Best Dressed in high school, did you both know you wanted to pursue a career in fashion? Nikoleta Lirantonakis: I always knew because I can't remember a time when fashion wasn't a huge part of my life. My mom always took pride in dressing us up for all occasions and she's the reason I fell in love with fashion. Vicky Lirantonakis: For me, it was very different. I always loved fashion (in large part, thanks to my mom and sister), but it was secondary to getting a business degree and having a corporate job. I did what people expected of me, but I don't regret it because now, with Best Dressed, I have the best of both worlds (I work full-time as an IT Project Manager, while running the company with Nik). SW: How did you identify a need for a shop like Best Dressed? NL: We realized that getting dressed up can be stressful and expensive, and loved the concept of renting a dress. What we didn't love were the unknowns: how would it look on you, how would you know if it would make you feel beautiful and confident? Those things are so important, we wanted to create a place where women could come and feel like they were in their best friends' closet, while getting styled, and saving money. 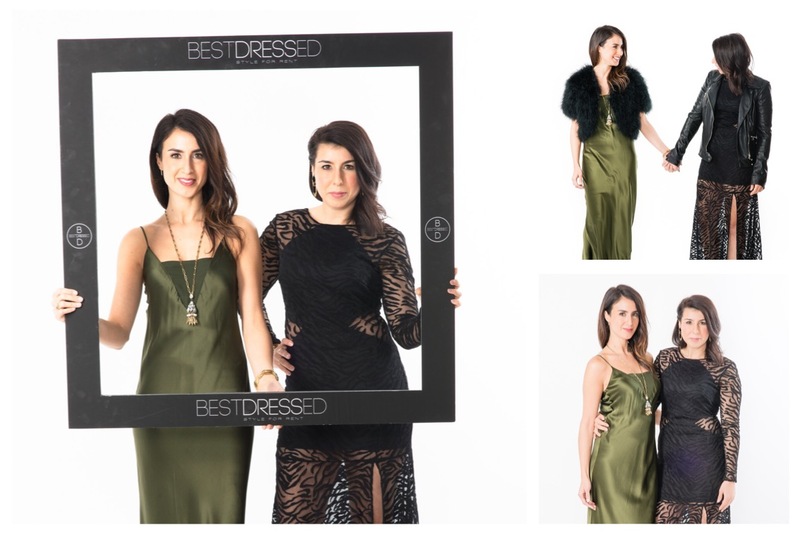 SW: Best Dressed Southie just opened it's doors as well as the launch of in-home and in-office styling; did you expect your business to grow so quickly? VL: We didn't expect to grow so quickly, but we've learned that when you combine passion with hard work, your business grows faster than you ever thought it could. Opening our first store in Charlestown was never the end goal. We expect to continue to grow throughout the Boston area and also expand upon our services. It's something that excites us and pushes us to work harder every single day! SW: Do you find it more challenging or inspiring to be in business with your sister? NL: For me, it's more inspiring than challenging but she definitely challenges me to be the best version of myself. I guess because she's my sister, I never want to let her down, which helps to motivate me even more. VL: Inspiring, for sure. We both have strengths and weaknesses that play off of each other and we're better together. We've been best friends since the day she was born (aside from that time time in high school when I was too cool), so I really couldn't ask for a better business partner and best friend. SW: Whats a typical day in the life for you two? VL: Every day is different, but we're usually meeting to discuss purchasing or marketing and/or planning for an event. We do a lot of in-store parties and are currently preparing for our Spring fashion show at the Liberty Hotel. SW: How do you select the dresses you carry in store? Is it based off your personal tastes, trends, or a little of both? NL: First, let me just say that this is our favorite part of running Best Dressed, who doesn't love to shop? We carry dresses based on our personal tastes, as well as what's trending but we also take the input of our clients into account. SW: What do you think a "Best Dressed" woman embodies? NL: She is the woman that lifts other women up. I overhear women in our fitting rooms complimenting each other all the time and it puts a smile on my face. SW: When you're not working at the shop, how do you like to spend your days? NL: I know it sounds cliche but spending time with my family and friends. They always make me laugh and take my mind off work for a little bit. VL: Doing something outdoors, like taking a walk with my fiancee and the dog. Spending quality time with my parents, they're so cute and always make me smile. SW: How has running a retail boutique changed your lifestyle? NL: I don't procrastinate as much as I used to and I honestly have no idea what I did before. I probably watched way too much Netflix. VL: I definitely don't have as much free time as I used to, but I'm okay with that! Owning Best Dressed has taught me to be present and learn how to focus more in order to achieve my goals.